“In the first week, we spent time in DPETNS primary schools. On the first day, the school principal and teachers arranged a big assembly with all students to welcome us. The next day, we provided some classes to the students on topics such as: life and culture in Cambodia, Khmer history, and traditional Khmer dancing. They really enjoyed learning from us and asked many great questions. We also really wanted to teach and further understand the main differences between Ireland and Cambodia’s educational systems. Students were surprised when we discussed this topic with them, as they are used to an academic setting in a developed country. They found it hard to believe how few Cambodian students gain access to quality education. As for us, we learned so many things from teachers and school staff, especially in the way they structure their curricula, engage students, and build their human resources. 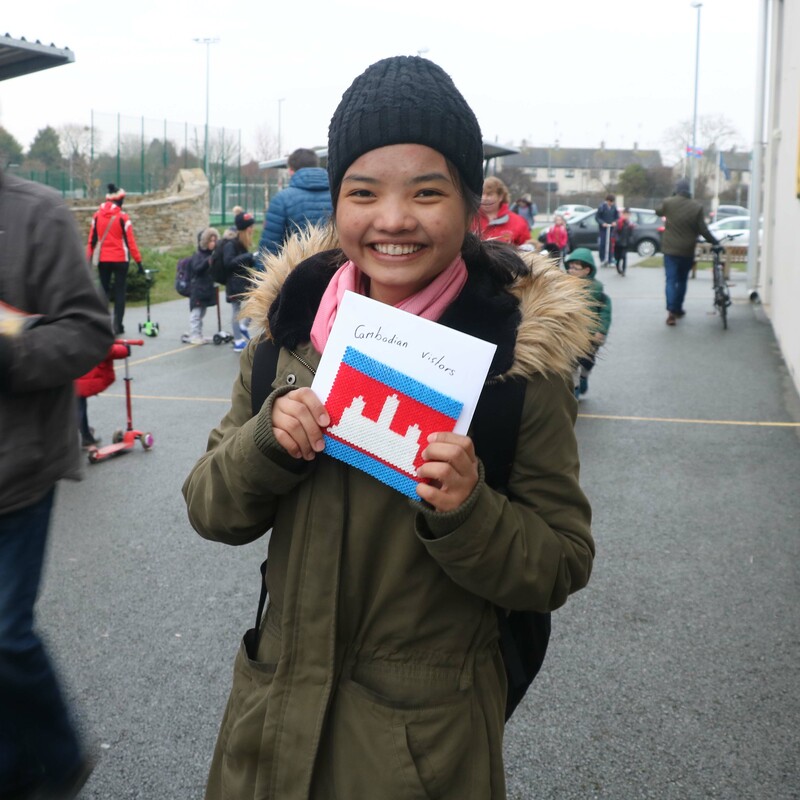 During the second week, we went to Donabate Community College secondary school (DCC). There, we provided some lessons on topics like Khmer Rouge history, PEPY’s Dream Management Project, and SDGs in the context of Cambodian education and job markets. We also observed many classes to learn about teaching methods and facilitation. We realized that the secondary school students were so interested to learn about Khmer Rouge. They felt so shocked to learn about this sad story. For our final week, we visited many other schools in the city and in the countryside. 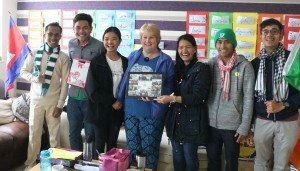 In addition to sharing our life experiences to students, we participated in a few community events, such as the Fun Run where we ran a section of the route from Donabate to Siem Reap and passed it on, to remind communities of PEPY and Donabate Education Together School’s partnership and the global connections we have in between. In terms of what we were able to teach, many of those we met noticed that they are so lucky to have many educational and general resources and infrastructure that we are not fortunate enough to have in Cambodia. They were reminded not to take these things for granted. PEPY would like to extend a big THANK YOU to all of the people involved in supporting, organizing, welcoming, and teaching our travelers. 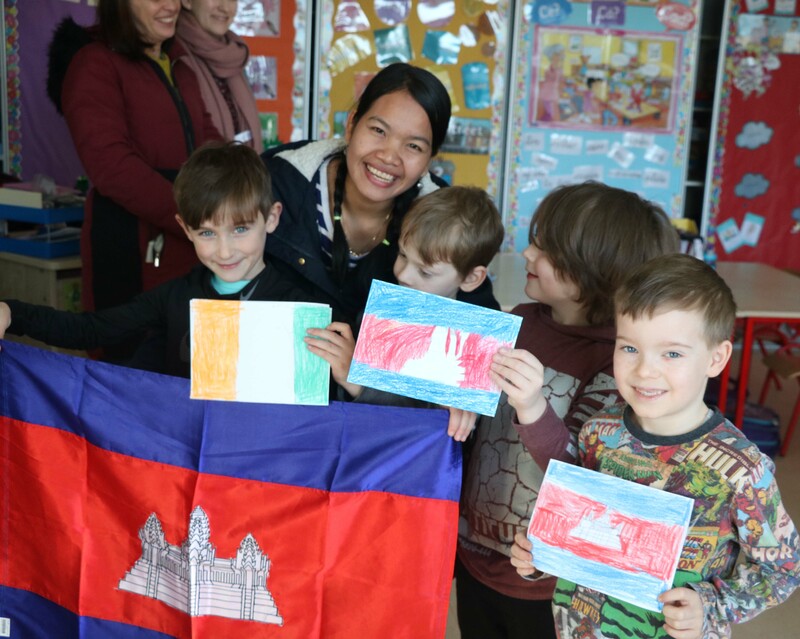 They appreciate so much all of your efforts, interest in Cambodian education, and hospitality; notably, PEPY is so grateful to DPETNS, Irish Aid, the Irish National Teachers’ Organisation, and the Irish Embassy in Vietnam for their generosity.